Perhaps one of our most bizarre events to date. 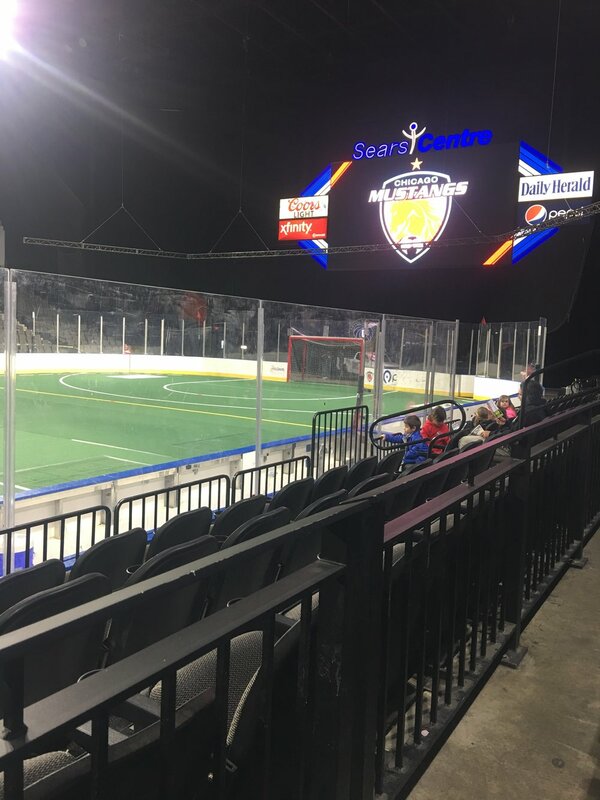 We attended Sears Center, Chicago for an MASL (or Major Arena Soccer League to me and you) to cheer on Chicago Mustangs. Not that much cheering could be heard above the ridiculously loud music that was played DURING the game, completely preventing the viewer from being able to fully immerse themselves into the action. Such was the amateur nature of this event that when trying to research the stats for this game a few months later, the official website for MASL hasn’t even bothered to update their statistics since the 2016 season. So it may always remain a mystery as to the way in which the Mustangs lost that night, all we remember is that their task was made nigh on impossible after having a player sent off for pushing his opponent over in a goal mouth scramble late in the first half. He could be seen a few minutes later sitting in the first row amongst fans cheerfully.